Violet means “Love and beauty last forever”. 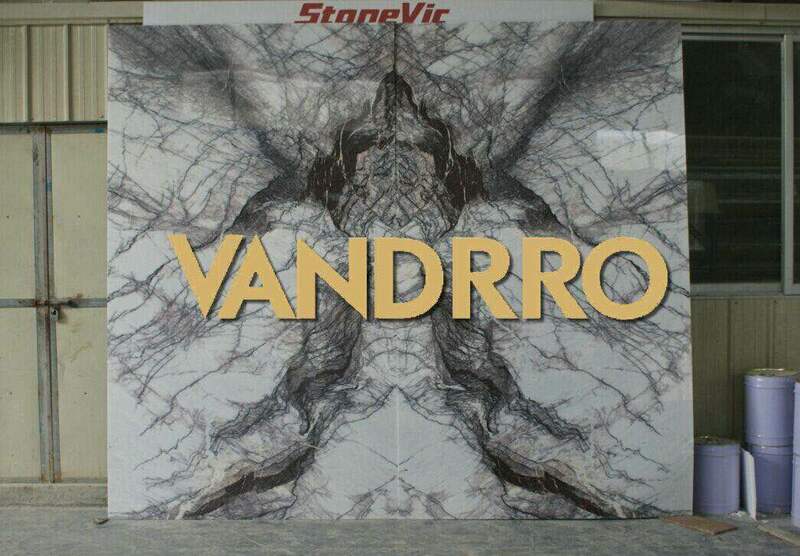 StoneVic only selected first quality and exotic Violet marble for high end interior decoration. 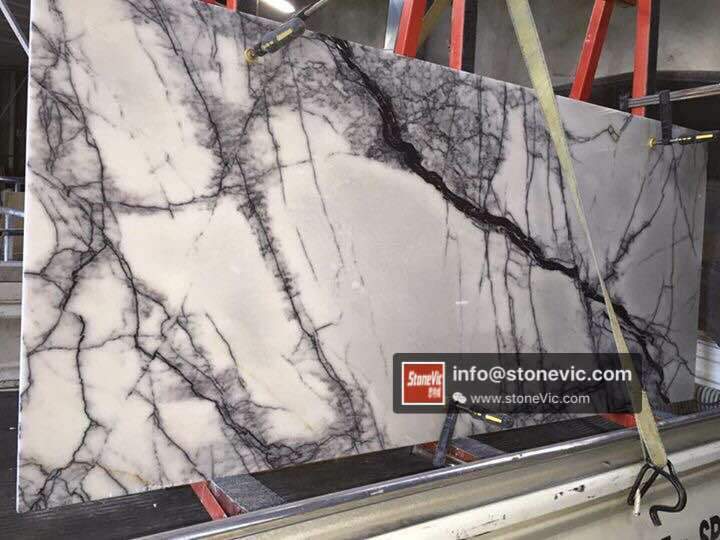 With elegant and visual vein spreading on surface, every pair of booked matched violet slabs like a landscape painting, which is rich of content, but absolutely unique. You are worth to deserve it. 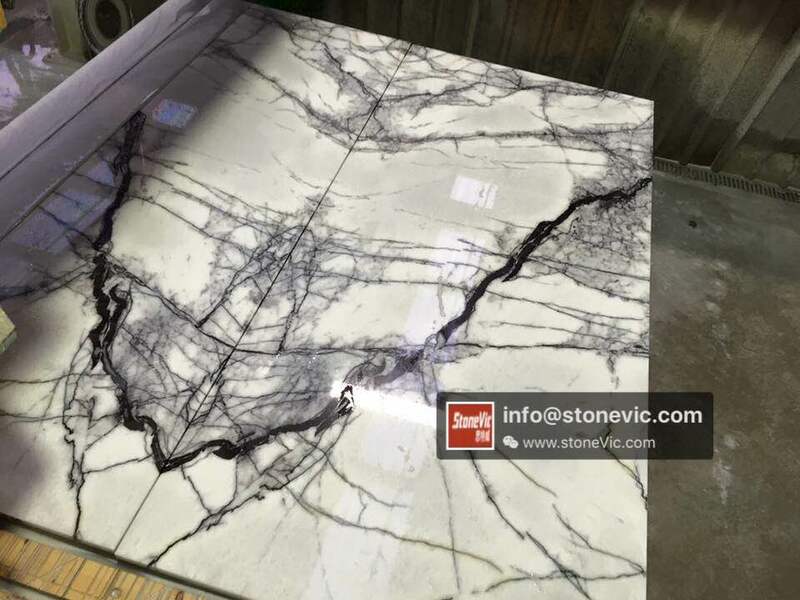 Violet marble is very suitable for StoneVic ultra thin panel, taking the advantage of Ultra thin, light weight and easy for installation in big size, which keep the whole beauty of natural marble. 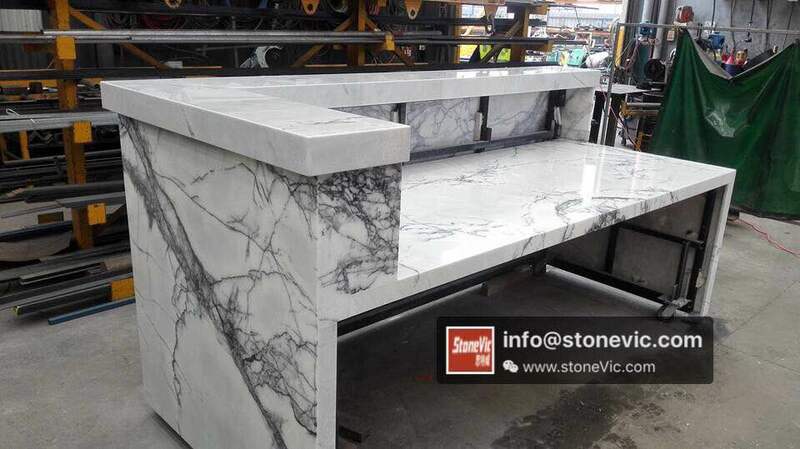 In addition, Violet marble can be widely used for Kitchen countertop, full backsplash, bath room vanity. Also, we can use Violet light translucent panel for background wall. 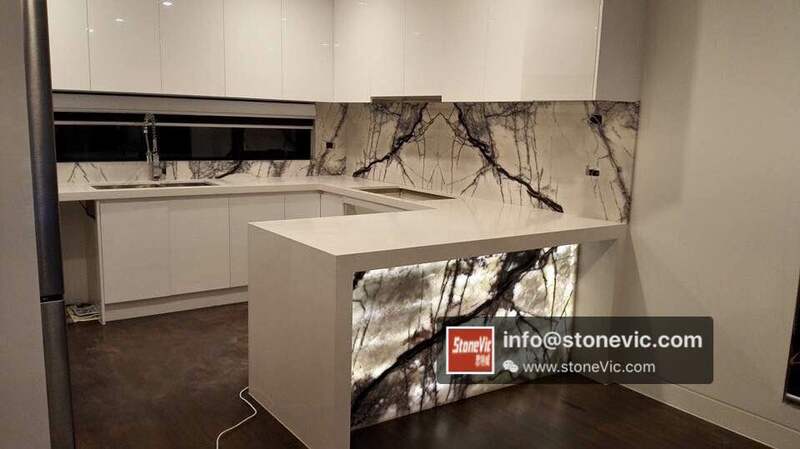 Let’s Violet marble panel brighten your home and life! 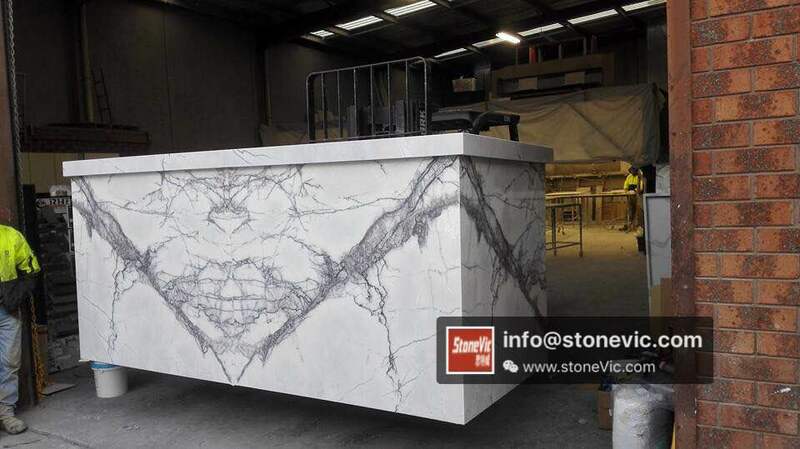 Previous : StoneVic is attending IBS show from 9-11th, Jan., in Orlando, USA. Hotel, Residential, Office, Shopping mall, Retail, Shower room.